What do you say when you need to blog about something, because you haven't in a while, but you don't really have anything to say? Oh, I have a long list of fun and interesting posts to write about crafts and cleaning and Jude's birthday which is quickly approaching and some prayers that God has answered, but right now, when I actually have a minute to spare on the computer (which has been rare lately, because our power cord has a short in it, so we've been using the computer as little as possible to save the battery), I just don't feel like writing about any of that. A friend from Murray State recently had a baby at 21 weeks gestation, and I've been keeping up with her progress thanks to another friend, Emily's, blog. You can read about sweet little Lynnlee's progress here, and please pray for her and her parents while you're at it. We've been trying to get out and play in the snow a little every afternoon. It keeps all of us a little more sane, I think. Poor Jude is SO ready for warm weather so that he can go back to playing outside all day every day. It should be illegal to keep such a busy kid shut up in a house so much. Even in such a big house, he still gets bored and stir crazy with Mama as his only playmate... and, gasp! Sometimes Mama tries to do other things, like dishes or laundry, and that just cannot be tolerated by such an active, bored little boy. In less than one month, we will be moving from this house back to our camp apartment, which I am both excited and apprehensive about for various reasons, which I will write more about later. Okay, Josh needs the computer to get back to work. I hope this non-update hasn't been too boring. 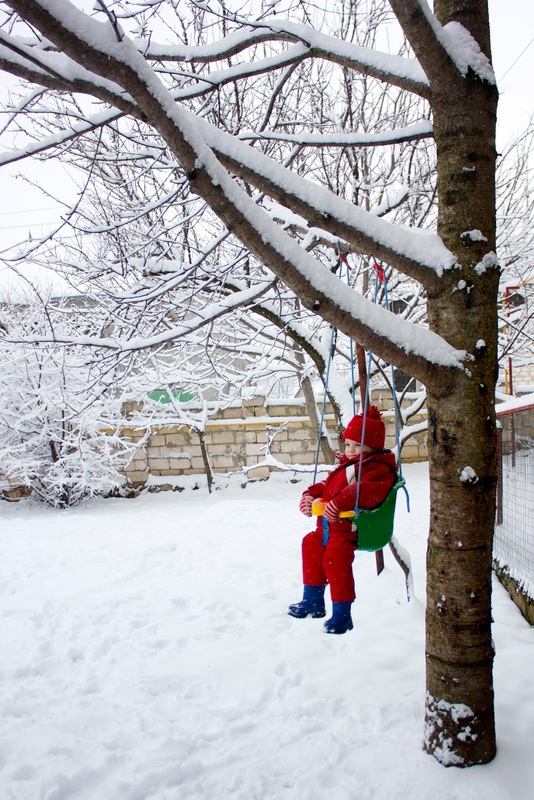 Someone, please inspire me... how are you getting through the winter with your kids (or how DID you get through winters when you had a toddler)? I feel like I'm stuck in an idea rut and he is bored with everything I try to think of to do. Help us make it until spring!